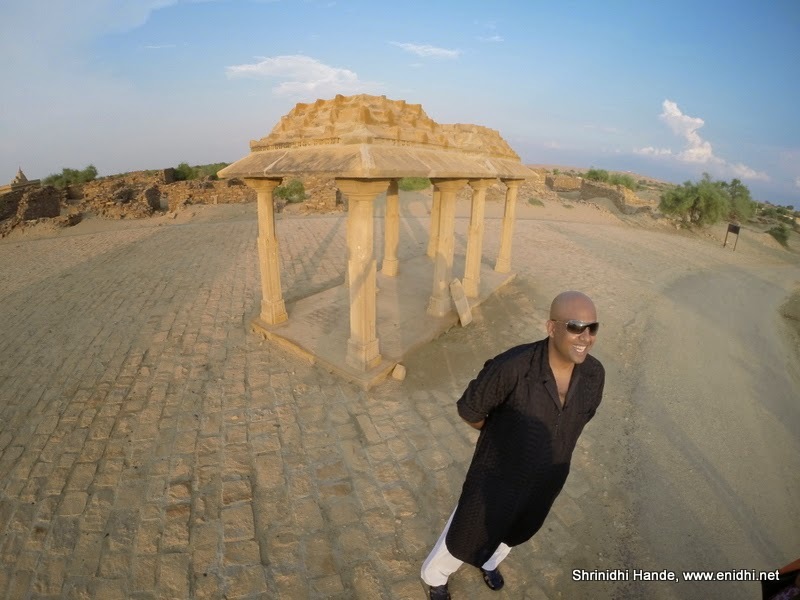 During my last 2 trips- one to Thailand and one to Jaisalmer, Rajastan, I got an opportunity to meet many like minded travel bloggers. In this post, I am writing a few lines introducing them, so that you can begin following their stories, if you’re not doing so already. This group of enthusiastic and energetic people involved working mothers, young women who often travel solo world-wide, people who have full time jobs but still manage to be one of India’s top travel bloggers and so on. Each of them are unique in their own way and have lots of experience and stories to share. Being able to interact with them has helped me gain lots of insights and has increased my respect towards them. Now I will be reading their blogs with even more eagerness than earlier. If you’ve enjoyed reading contents at my blog enidhi.net, it should definitely help you to know these people better and follow their blogs. Nisha Jha: Nisha lives in Mumbai, was identified as Yahoo Fab and Fearless woman [Details] and has lots of travel experiences to share- she was in Israel just before the war, had been repeatedly invited by multiple tourism boards all over the world. Like many others, she was also working earlier and at some point decided to quit and pursue travel and volunteering full time. More about Nisha can be read in her own words here. Despite a small wrist injury, she was as active as anyone else in the two trips we had together. She has explicitly stated that buying a GoPro is her next objective and I wish her good luck! Sankara Subramanian: I’d first met Sankara during the 2010 Tata Nano Superdrive. Sankara was live blogging the orange route, while I was covering the green route. Since then, we had done a trip to Valparai and briefly met once early this year in Dandeli, before meeting again in Jaisalmer last week. Last year Sankara spent over 300 days traveling all around South East Asia and this year he has already been to half dozen countries and traveling more. Due to his intense and extreme travel, he has witnessed events and happenings most of us won’t even believe possible. Sankara has great deal of knowledge on birds, photography, budget travel and motorcycling. He has left his high paying job to start a travel consulting company, called BeOnTheRoad consulting, based in Bangalore. Rutavi Mehta: Rutavi Mehta runs Photokatha.in and works with several tourism boards to help devise strategies to draw more tourists. She was one of the organizers behind recently held Kerala Blog Express. She is based in Mumbai and she did give lots of tips on GoPro during our Thailand trip. You may contact her for planning and execution of any travel related campaigns/ideas. Ankita Sinha: Anki on the move, as she is better known, manages to be on the move all the time. She loves adventures- think of an adventure and she can guide you where to try that. Ankita is based in Bangalore and takes up marketing work for few agencies, when she is not on the move that is. She has also left her corporate job to enjoy what she likes best- travel & adventure. Ankita was featured in Fox Traveler, Deccan Chronicle etc and has a few reputed travel awards to her credit. 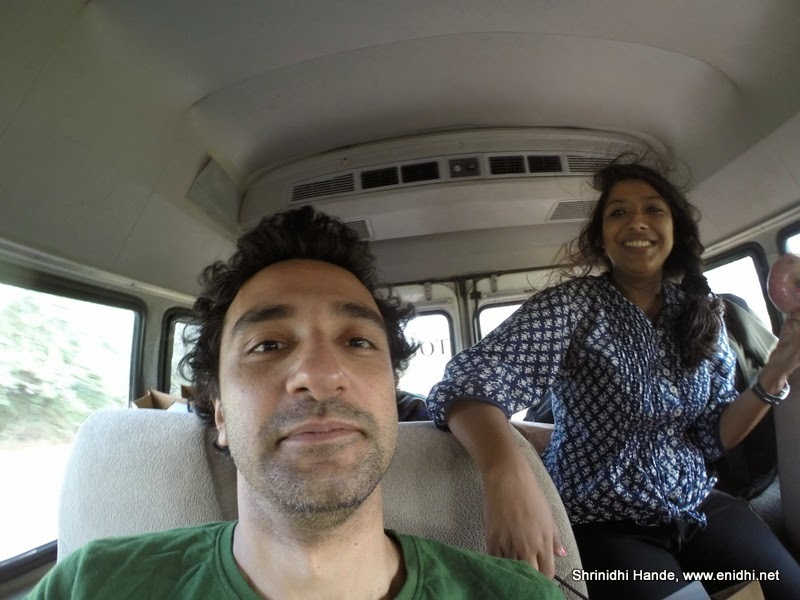 Ankita's blog also contains 115+ comprehensive travel videos that she has made from her experience, covering both international and domestic. [her videos can be seen here]. Ankita has also done Pan India traveler meets and interviews of travelers and adventurous people. Siddhartha Joshi: Office goer like me, but his work often takes him to villages and remote places as he works in the field of medical equipment design. He blogs at the wanderer. He is a good entertainer and takes photographs with unique perspectives rest of us might not even have thought of. Mridula Dwivedi: She needs no introduction and is identified as India’s top travel blogger by multiple agencies that issued rankings. She is a working mother, but that doesn’t deter her a bit. Before we are done going through her updates on last trip, she is already on a flight for her next destination. We had first met in 2007 during a club Mahindra travel bloggers meet and since then, we couldn’t meet again. As fate has it, we met in Bangkok last month during the mega tourism event organized by Thailand Tourism. Anuradha Goyal: Anuradha Goyal has stayed in several cities & states across India and is currently based in Goa. Her recent work, “The Mouse Charmers” profiles online enterprises that have pioneered online revolution in India. She offers consultancy services to corporate houses on wide range of topics. My review of her book will be live in a few days. Supriya Sehgal: Supriya has also left her secure job to make a living out of writing. She’s been successful in that for over 5 years now and has written a lot for Lonely Planet and other publications. I couldn’t interact with her much, but do check her website. Ruchika Vyas: Ruchika is an editor with TheLabel.in, a lifestyle portal. Ruchika also enjoys chocolate making, travel, photography and regularly contributes for leading papers and magazines, including Femina, Outlook traveler and Mumbai Mirror. She blogs at http://www.travellerstories.com/. We had met once earlier during Club Mahindra Binsar trip and it was nice to meet her after close to 8 years! 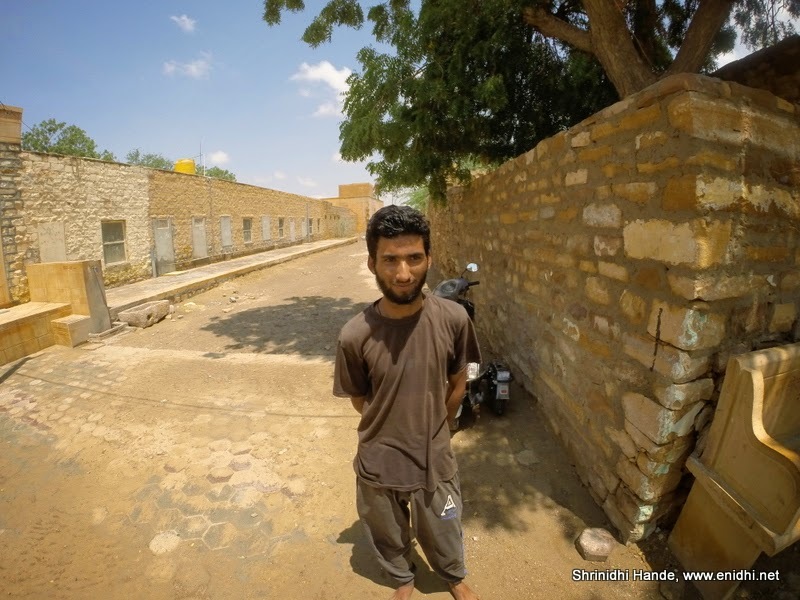 Sumer Singh Rathore: A special mention goes to Sumer Singh Rathore, who operates from a village in Jaisalmer- he follows most of India’s travel bloggers and can recognize them by face. From his remote village and using his 2G internet connection, he engages with lots of interesting people. Sumer also runs a blog of his own. I can recommend him any day to for a social media job in travel industry. Should you need any local help in and around Rajastan, you could probably buzz him. I have only linked the blogs here, from the blog you should be able to find respective twitter handles and facebook pages of these bloggers. Hope I've not missed any other bloggers from the two trips- if so it is purely accidental. Pls drop me a note. I look forward traveling with them again. 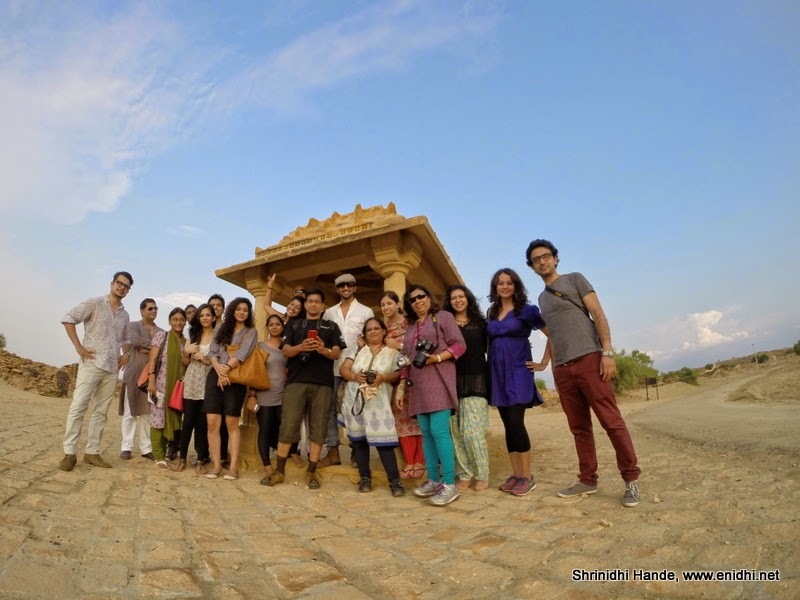 Given below is a group photo clicked in Jaisalmer. Technophilo- Missed it, have added now. Siddhartha: No worries, you're already rocking on all other topics- I thought of breakfast with peacock and you had it live! Till we meet again Shrinidhi on another trip where we have more time to chat! Thank you Shrinidhi for the mention. Would love to meet some of the others in person and Travel together and like Mridula says 'till we meet again'. Thanks so much for the mention Shrinidhi. It was equally great meeting you & look forward to travel with you again somewhere. Nisha: Same with me. Wish to travel again with you and others..
Sankara: True. Till we meet again! Payaniga: Yes, nice knowing you since years. Hope you meet others soon. Mridula: Indeed. It is a small world and we should be crossing paths more often. Hope to meet you again, with more time to spare. Rutavi: You're just being kind. Thanks for the support and good words. Thank you so much for the mention, Srinidhi! It was wonderful meeting you, and I hope we meet again soon, BTW, this was a lovely idea for a post! Wish I had thought of it earlier. I like the camera angle specially Sankara photo.